So far, Artificial Intelligence has yet to live up to the enormous expectations which have always surrounded this technology. Its failure to garner mainstream adoption during its inchoate inception in the 1960âs and 1970âs kept it out of the headlines until relatively recently. The surging interest around cognitive computing and self-service platforms such as IBM Watson has set the stage for more demands than ever, perhaps culminating in the multitude of prognostications from Gartner, Forrester, and others regarding AIâs ability to transform the data sphere in 2017. With an array of self-service machine learning platforms, cloud-based data science solutions, and significant advances in both storage and compute power, machine intelligence is certainly more accessible to the enterprise that it has ever been. But in practice in the business world today, AIâs moment is still impending, and not yet realized. According to Cambridge Semantics VP of Financial Services Marty Loughlin, approximately 90 percent of the attention focused on AI within the finance industry is media generated, versus only approximately 10 percent practical usage. âThe interest is definitely high, but itâs a little bit ahead of reality I think,â Loughlin commented. Time Constraints: Organizations can spend more than six months perfecting the predictive models for machine learning or deep learning. Data Quantities: The predictive capacities of both of these facets of AI require exorbitant amounts of training data, contributing to the lengthy times required to fine-tune them. Data Scientists: Data Scientists are arguably the chimera of the 21st century, that rarest of commodity with illimitable demands on their time. Infrastructure: Costly hardware was previously required to accommodate the massive data quantities necessary for training machine learning and deep learning models. Self-service SaaS offerings which have automated critical aspects of data science prerequisites for these manifestations of AI, along with accelerated processing speeds, have rendered most of these concerns obsolete. Nonetheless, actual use cases for AI in transformative roles impacting business valueâas opposed to rudimentary forms of machine learning in comprehensive platforms for analytics, transformation, or data preparationâare limited due to more modern concerns. Exploiting AI to effect competitive advantage requires leveraging it in the most vital business tasks, as opposed to simply quickening portions of everyday data management. Oftentimes, finding that niche requires more than a simple cloud-based deployment and necessitates substantial consultant work–which may simply occur with SaaS and PaaS providers functioning as consultants while aggrandizing costs. The Senior Vice President of Strategy, Research and Analytics at Shapiro+RajÂ (which specializes in assisting clients with Bayesian machine learning methods) Dr. Lauren Tucker remarked: âPeople who can do the modeling and so forth have very little understanding of how to connect the dots to craft a story around the inisghts to come out of those models. But then you need people who understand how to present them, how to get that information originally from the client, and how to do the model assessment. It takes a village, and that village is more often found in firms that focus on that type of business rather than holding them in-house.â The implications are that the temporal and financial costs for using AI are often more than the rapid self-service cloud offerings may initially seem to be. Loughlinâs sentiment seems widely applicable across industries as well. What is unequivocally changing is the inclusion of basic AI capabilities in platforms which can hasten numerous time-sensitive processes. Classic examples are found in data preparation and aggregation prerequisites prior to analytics in which AI and NLP âcan recommend looking at the data and say oh, I see you have a customer data set and a demographic data set,â Paxata Co-Founder and Chief Product Officer explained. 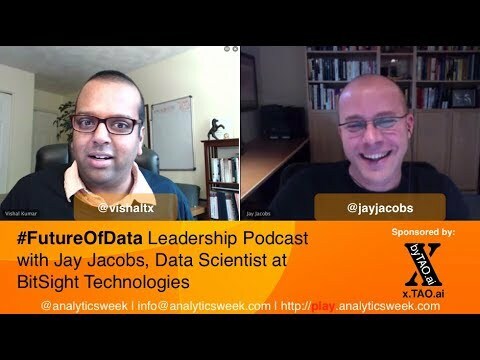 âLet me tell you how to bring these two data sets together so you can accelerate to get to the point where someone can get the data that they need.â The full scope of AI, however, which is why it so highly anticipated to alter the data landscape this year and beyond, involves accelerating core functions of business processes and, perhaps even displacing job positions due to expedited automation. This perception may function as somewhat of an unspoken caveat restraining the full advent of AI upon the enterprise, as vendors continue to push the rhetoric that its technologies are not displacing laborers but allowing them to concentrate on âmore profoundâ problems. Regardless, unveiling this potential of machine intelligence requires a sizable allocation of resources in terms of cost and expertise denoting just how it can make core business functions more efficient. This phase is followed by implementation and assumes, (quite incorrectly, in some instances) that organizations have already mastered the fundamentals of structured data and their requirements. Thus, for better or worse, AI largely remains an intriguing idea, and one which is currently actualized only at a fraction of its full potential. Q:What are the drawbacks of linear model? Are you familiar with alternatives (Lasso, ridge regression)? Virginia Commonwealth University, like lots of U.S. colleges, has worked to keep its freshmen around for sophomore year. Research has shown that students are most at risk of dropping out early in their college careers, and freshman retention rates also factor into college rankings. Although VCU has had success in getting students to return to its Richmond campus for a second year, the university has struggled to get them all the way to graduation. Now the school is turning to big data to help it identify students who are most at risk of falling through the cracks. Those students, referred to by some as the âmurky middle,â tend to be sophomores or juniors with grade-point averages between 2.0 and 3.0, students whose academic performance has not raised any alarms and yet who ultimately are not on track to graduate. Not graduating affects a schoolâs standing and also can cause lasting damage for the students who donât make it. An estimated 400,000 students drop out of college every year across the country. Many are left with student loans and poor prospects of earning enough to repay the debt theyâve accumulated. College dropouts run a high risk of defaulting on student loans, which could damage their credit and make it difficult to buy a car or a house, or even get a job. The Obama administration is grappling with ways to hold colleges accountable when students fail to earn their degrees, and it is developing a college-rating system to measure outcomes. Schools have been feeling the pressure of that government scrutiny, especially as more states are tying funding to performance. And with every student who leaves, colleges are losing tuition revenue that has become critical in the face of dwindling enrollment and flagging state investment. Researchers at the firm pored over the universityâs files and found that students who were withdrawing from or failing classes were most likely to leave. With that insight, the company created a platform that let VCU advisers flag students who are in that danger zone and intervene. Sometimes that means getting students set up with a tutor or simply making sure they are taking the right classes to complete their degree. Within one semester, the school recorded a 16 percent increase in the number of students completing courses and an 8 percent increase in students enrolling for the following term. âItâs a little bit too early for us to see what impact this will have on graduation rates, but it feels like weâre on the right track,â Sykes said. VCU established âsuccess markersâ for every major, identifying classes students should be completing at various points on their path to graduation. A chemistry major, for instance, should earn at least a C in general chemistry by the end of the first year, Sykes said. If that student fails or enters sophomore or junior year without finishing that course, he or she would be flagged for counseling. Advisers can use the schoolâs early-alert system to search for groups of students who have accumulated a lot of credits but havenât graduated or those starting to fall below a 2.0 grade point average. Until recently, many college advisers did not have the technology to quickly identify students in need of an extra nudge, Venit said. Advisers at many schools see students only when they need to register, when they seek out help or when they are on the verge of flunking out. That was the case at Middle Tennessee State University before the school retooled its academic advisement based on EAB data. The university spent $3 million to hire 47 additional advisers and develop âcampaignsâ to increase re-enrollment. Administrators discovered that 20 percent of students were leaving in their second year, a trend they figured could be reversed with more directed advising, said Richard D. Sluder, vice provost for student success. Now advisers can pull together weekly reports of the percentage of students who have reenrolled for the next semester, giving them a shot at reaching students who are on the fence before they drop out. As of this month, enrollment rates are up three percentage points from last year. To gain insight into when and why people drop out, EAB has collected 10 Â­Â­Â­Â­Â­Â­Â­Â­Â­Â­Â­Â­Â­Â­Â­years of student transcripts from more than 150 four-year public and private U.S. colleges. Researchers found that of the students who return for a second year with grade-point averages between 2.0 and 3.0, two out of five will drop out. Venit said a studentâs GPA is a good indicator of their chances of graduating, though there is no conclusive evidence that bad grades lead students to quit school. At VCU, Sykes noticed that a lot of students landing in academic limbo were majoring in science, engineering and math. It turned out that many of those students were waiting too long to declare a major, which can be a problem in science majors that require a specific sequence of classes, Sykes said. VCU charges in-state undergraduates an average of $16,764 a year, after grants and scholarships are deducted. That net price is higher than the $12,830 national average for public schools, according to data from the College Board, an education nonprofit. At those prices, taking longer to graduate can get expensive. And dropping out, in some cases, could be just as costly if students borrow to pay for school. According to the New America Foundation, of all the students who started school in 2003-2004 and were in default on their loans six years later, more than 60 percent left college without a degree. Researchers at Education Sector found that borrowers who drop out face higher unemployment and lower median incomes. âEven if you donât have the capacity to advise every student multiple times a semester, which most schools donât, you can still get a lot done with modest resources that you have,â Venit said. 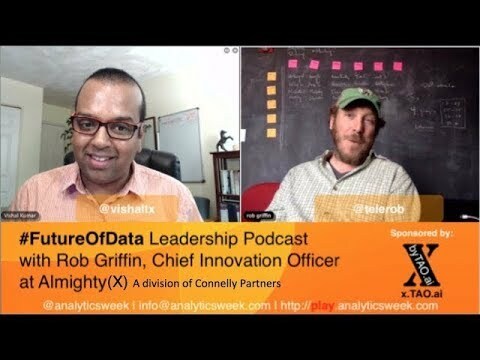 In this podcast @CRGutowski from @GE_Digital talks about the importance of data and analytics in transforming sales organizations. She sheds light on challenges and opportunities with transforming sales organization of a transnational enterprise using analytics and implement a growth mindset. Cate shared some of the tenet of transformation mindset. This podcast is great for future leaders who are thinking of shaping their sales organization and empower them with the digital mindset. Cate has 20 years of technical sales, marketing and product leadership experience across various global divisions in GE. Cate is currently based in Boston, MA and works as the VP â Commercial Digital Thread, leading the digital transformation of GEâs 25,000+ sales organization globally. Prior to relocating to Boston, Cate and her family lived in Budapest, Hungary where she led product management, marketing and commercial operations across EMEA for GE Current. Cate holds an M.B.A. from the University of South Florida and a Bachelorâs degree in Communications and Business Administration from the University of Illinois at Urbana-Champaign. Q:Explain selection bias (with regard to a dataset, not variable selection). Why is it important? How can data management procedures such as missing data handling make it worse? Why data handling make it worse? eventually go bust. So adhering to this wave of change, understanding it and steering in the right direction is essential for keeping market share and businesses afloat. In this wave of change, there are certain things that businesses could do to fundamentally change the way they approach their business processes to gain market share. Following few key areas would be great starting points. Focusing on the customerâs need is the most important thing to do to gain market share. 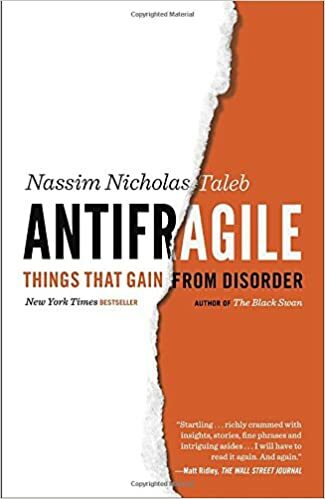 With many customer focused companies like Apple, Amazon etc., keeping customers happy and satisfied is the key that differentiates them from the herd. In recent times, customersâ Â expectations/ needs have changed and companies need to constantly evaluate their methodology and align themselves to read, meet and exceed customerâs expectations. They need to setup a continuous monitoring process to analyze the customer landscape, their needs, and its impact to the business. This helps keeping businesses close to their customer, which is a mantra for success. Finding a niche and staying as a thought leader is another crucial step in establishing sustainable footprint in business growth. Most successful companies are the ones that are leaders in their space. Laggards will have some room to flex but it would be at the mercy of demand supply gap. It is important to find a core area and excel in it. Such companies innovate, lead and create a brand of trust and credibility with the customers. So, building thought leadership is extremely important for building a business for success. It is rightly said that âone who builds the network, owns the networkâ. There is a need to facilitate open communication both within the company, with its external partners, stakeholders and other communities. Building a system that facilitates this communication is beneficial for the company and it is a win-win for everyone. It helps keep a full innovation pipeline, lets the dialog going, saves from blinders, and builds better business connections. This network could also be used as a channel for fostering numerous innovations in the company. Data is your friend. It is impartial and insightful. Make data your friend and leverage it in all business decisions. Data brings sanctity, facts and gutless metric in decisions, thus making success more predictable and informed. As we all know, informed decisions are always better than the decisions based on hunches. 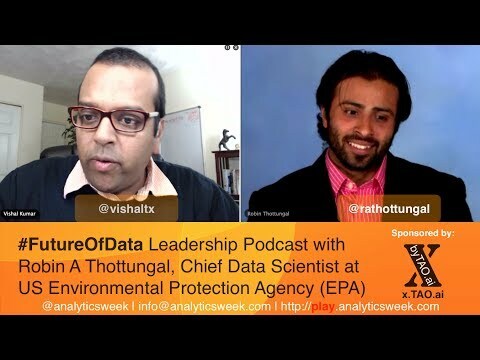 Data can help a company in preparing for the future, in understanding customerâs expectation, analyzing industry trends; do predictive modeling to solve big problem questions etc. So, there are many used cases for successful use of data in current competitive landscape. A company closer to data will never find difficulty in maintaining a healthy market share. It is a strong statement, but a realistic one. In todayâs economy, no one can win in isolation and especially when there are hardly any boundaries. It is important to partner to make things happen. People understand the importance of shorter cycle time and fast time to market and strategic partners and new business models can make this thing a reality. So, it is important to think of a system that has more partners than competition. To outdo the competition, it is required to stay close to the customers and improve retention. The best way to achieve this is to provide personal touch to products and services and make them feel special and friend like. This would enable customers to reach out to you for help/ suggestions and listening and catering to them would create strong loyalty sentiments. On the other side, customer would act as strong brand advocates, generating leads, providing references and helping your business grow. This creates a bond and has a positive multiplier effect especially in the socially connected world that we live in. As discussed earlier, innovation could be a pillar stone for differentiation and growth. Crowdsourcing is a concept that is very well adapted and could be a gateway for numerous innovations. So, companies can open certain part of business and leave it for other the stakeholders (partners, customers) to disrupt. For instance, nowadays all the companies from Google, to Apple have opened their platforms to let others build on their platforms and disrupt the market place. 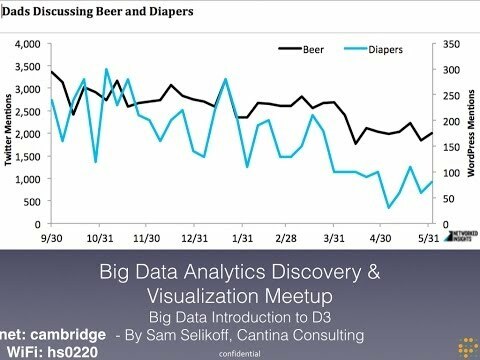 Data science is not a magic bag of tricks that can somehow find valid patterns under all circumstances. Sometimes the data itself is far too messy to analyze comprehensively in any straightforward way. Sometimes, it’s so massive, heterogeneous and internally inconsistent that no established data-scientific approach can do it justice. Spatiotemporal scale-mixing: As a closed system, the planet and all of its dynamic components interact across all spatial scales, from the global to the microscopic, and on all temporal scales, from the geological long-term to the split-second. As the authors note, “Some interactions might last hours or daysâsuch as the influence of sea surface temperatures on the formation of a hurricaneâwhile other interactions might occur over several years (e.g., ice sheets melting).” As anybody who has studied fractal science would point out, all these overlapping interactions introduce nonlinear dynamics that are fearsomely difficult to model statistically. Heterogeneous data provenance: Given how global climate data is, it’s no surprise that no single source, method or instrumentation can possibly generate all of it, either at any single point in time or over the long timeframes necessary to identify trends. The authors note that climate data comes from four principle methodologies, each of them quite diverse in provenance: in situ (example: local meteorological stations), remote sensed (example: satellite imaging), model output (example: simulations of climatic conditions in the distant past) and paleoclimatic (examples: core samples, tree rings, lake sediments). These sources cover myriad variables that may be complementary or redundant with each other, further complicating efforts to combine them into a unified data pool for further analysis. In addition, measurement instrumentation and data post-processing approaches change over the years, making longitudinal comparisons difficult. The heterogeneous provenance of this massive data set frustrates any attempt to ascertain its biases and vet the extent to which it meets consistent standards of quality and consistency. Consequently, any statistical models derived from this mess will suffer the same intrinsic issues. Auto-correlated measurements: Even when we consider a very constrained spatiotemporal domain, the statistical modeling can prove tricky. That’s because adjacent climate-data measurements arenât often not statistically independent of each other. Unlike the canonical example of rolling a dice, where the outcome of each roll is independent of other rolls, climate-data measurements are often quite correlated with each other, especially if they’re near to each other in space and time. Statisticians refer to this problem as “auto-correlation,” and it wreaks havoc with standard statistical modeling techniques, making it difficult to isolate the impacts of different independent variables on the outcomes of interest. Machine learning difficulties: In climatological data analysis, supervised learning is complicated by the conceptual difficulties of defining what specific data pattern describes “global warming,” “ice age,” “drought” and other trends. One key issue is where you put the observational baseline. Does the training data you’re employing simply describe one climatological oscillation in a long-term cycle? Or does it describe a longer-term trend? How can you know? If you intend to use unsupervised learning, your machine learning model may fit historical data patterns. However, the model may suffer from a statistical problem known as “overfitting”: being so complex and opaque that domain scientists can’t map its variables clearly to well-understood climatological mechanisms. This might make the model useless for predictive and prescriptive analyses. These issues aren’t limited to climate data. Those same data-scientific issues apply to other heterogeneous data domains. For example, social-network graph analysis is a young field that has historically shallow data and attempts to analyze disparate sources, both global and local. 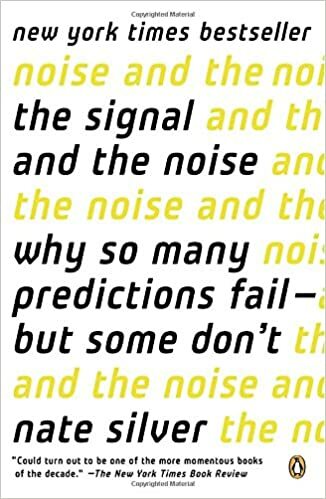 How can data scientists effectively untangle intertwined sociological and psychological factors, considering that auto-correlations in human behavior, sentiment and influence run rampant always and everywhere? If data science can’t get its arms around global warming, how can it make valid predictions of swings in the climate of world opinion? Tukey was a famous American mathematician who truly understood data â its structure, patterns and what to look for. Because of that, he was able to come up with some great innovations, like the box plot. His powerful one-liner is a perfect introduction to this topic, because it points out the value of seeing things that we never expected to see. With the large amounts of data generated every day, itâs impossible to keep up by looking at numbers only. Applying simple visualization techniques helps us to âhearâ what the data is telling us. This is because our brain exists in two parts. 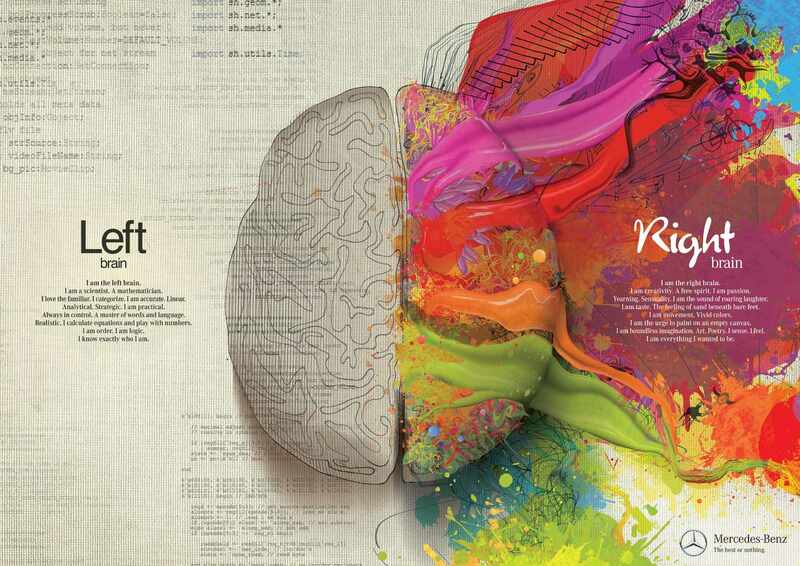 The left side is logical, the mathematician; the right side is creative, the artist. Mercedes-Benz, the luxury carmaker, illustrated the value of visualization in its âWhole Brainâ campaign in 2012. Ads showed how the two opposing parts of the brain complement each other. They juxtaposed the left side responsible for logic and analysis with the creative and intuitive right side. Through visualization, the campaign communicated that Mercedes-Benz, like the brain, is a combination of opposites. Working together, they create technological innovation, breakthrough engineering, inspiring design and passion. Visualizing data, i.e. combining left and right sides, lets you optimize decision-making and speed up ad-hoc analysis. That helps you see trends as theyâre occurring and take immediate action when needed. The most impressive thing is that accurate and informative visualizations are just a click away for you, even as a business user. NO technical background or intensive training required at all. With self-service capabilities of modern tools, you can get much more value out of your data just by pointing and clicking. Data visualization plays a critical role in a world where so much data is pouring in from so many sources every day. It helps us to understand that data more easily. And we can detect hidden patterns, trends or events quicker than ever before. So start using your data TODAY for what itâs really worth. To read the original article on S.A.S. Voices, click here. In a mere decade, the physician practice revenue cycle has been transformed. Gone are the days when most patients had $10 or $20 co-payments and their insurance companies generally paid claims in full. Physicians can no longer order lab work and tests according to their preference without considering medical necessity. And as patients shoulder rising care costs, they have become payers themselves, and theyâre not quite accustomed to this role. Surprisingly, the answer is âyesâ for most practices. Fortunately, you can achieve this goal leveraging something you already have, or can obtain, within the four walls of your practice: knowledge. Not many practices can afford to purchase technology strictly for analytics and business intelligence. Additionally, in an environment where challenges such as health reform and regulatory demands take substantial time and attention, practices donât have the luxury of adding resources to tackle such efforts. Nonetheless, practices can jump-start their analytics efforts and fuel more informed decisions via their clearinghouse. By reviewing clearinghouse reports â both standard and custom â you can identify revenue cycle trends, spot problems and test solutions such as process improvements. Here’s how you can leverage data to achieve revenue cycle improvement goals such as decreasing days in accounts receivable (A/R), reducing denials and optimizing contract negotiations with payers. Effectively managing denials and rejections has always been one of physician practicesâ greatest revenue cycle challenges. The more denials and rejections a practice has, the more likely key metrics such as days in A/R are to be low-performing, since practices arenât able to get paid in a timely manner. Denials and rejections are just two of many areas that cause cash flow delays, and when reasons for denials and rejections are identified, such as eliminating unproductive work, practices can begin to improve days in A/R and increase profitability because payment comes in more quickly. These basic revenue cycle challenges, coupled with more stringent medical necessity requirements and value-based reimbursement, are now creating even more challenges in the healthcare industry. Since ineligibility is often a leading cause for denials, a denial reduction strategy begins in the front office with quality eligibility information. An automated eligibility process provides front-office staff the data they need while also reducing errors. Allowing staff to check eligibility before patients are seen will set the stage for a more informed discussion regarding patient financial responsibility while also ensuring proper claims submission and reducing write-offs. Denial reports by reason are also an important tool; they can help practice managers identify staff or processes that require additional training. A customized rejection report can help your team stay abreast of changing payer requirements and identify emerging patterns. Your clearinghouse should be able to generate a quarterly or monthly report that shows the most common reasons for claims rejections. Make sure the report details this information by practice location; staff at high-performing locations may be able to offer tips and advice to other offices with higher rejection rates. Practice leadership can email the report and an analysis of patterns and trends to the entire team. An excellent tool to educate managers, coders and billing staff, this email can highlight areas for improvement or where additional training is required. This analysis should be simple and easy to comprehend, providing a quick snapshot of rejections along with practical ideas for improvements. The goal is for staff to be able to make adjustments to day-to-day work processes simply by reviewing the email. It can even generate some healthy competition as teams at different locations strive to make the greatest improvements. In an era of value-based reimbursement, knowing which codes are prone to reimbursement issues can help your practice navigate an increasingly tricky landscape for claims payment. This information can be particularly helpful as you acclimate your practice to each payerâs value-based methodology such as bundled payments or shared savings. A report showing denials by code and per physician can generate awareness regarding potentially problematic claims submission. It can facilitate team education regarding coding conventions, medical necessity rules and payer requirements. Clearinghouse reports arenât just useful for education and improvements within your practice; they can also provide valuable insights as you review payer contracts and prepare for negotiations. In payer-specific reports, look for trends such as the average amount paid on specific codes over time. Compare these averages with your other payers, and go into negotiations armed with this data. A recent survey of College of Healthcare Information Management Executives (CHIME) indicates that data analytics is the top investment priority for senior executives at large health systems, trumping both Accountable Care and ICD-10. Their reason: quality improvement and cost reduction can best be achieved by evaluating organizational data. Physician practices can obtain the necessary data to optimize revenue without making costly technology investments. Whether your practice has two physicians or 200, the black-and-white nature of claims data can be invaluable. It can help you evaluate revenue cycle performance, identify problems, drive process changes and ultimately improve cash flow, simply by coupling your newfound knowledge with analytical and problem-solving skills.